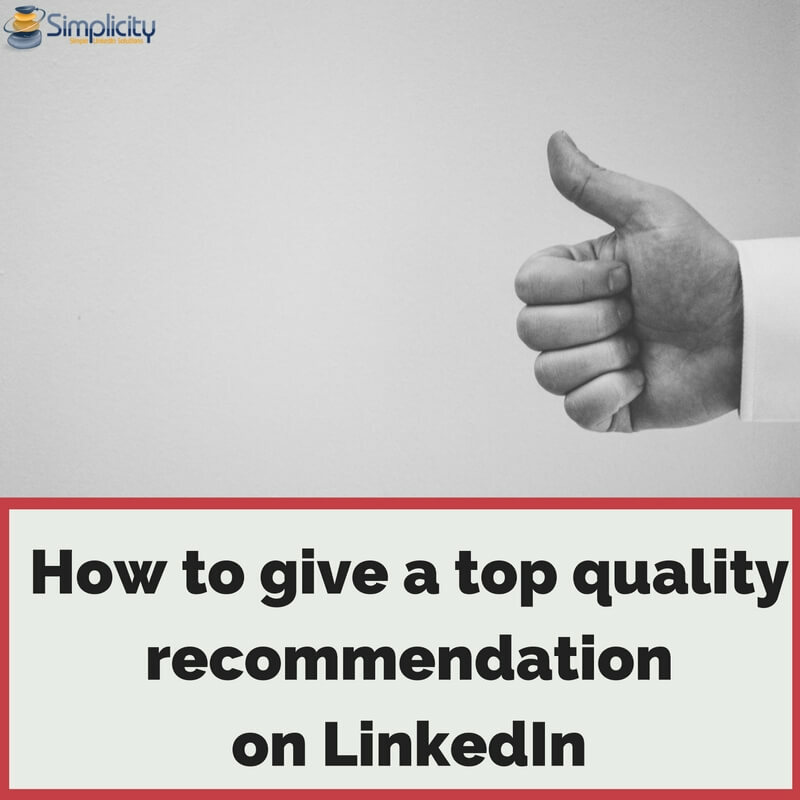 There are two ways you can give a recommendation on LinkedIn. Either you have been asked by one of your contacts, or you want to recommend a contact spontaneously. 1. You have received a recommendation request. 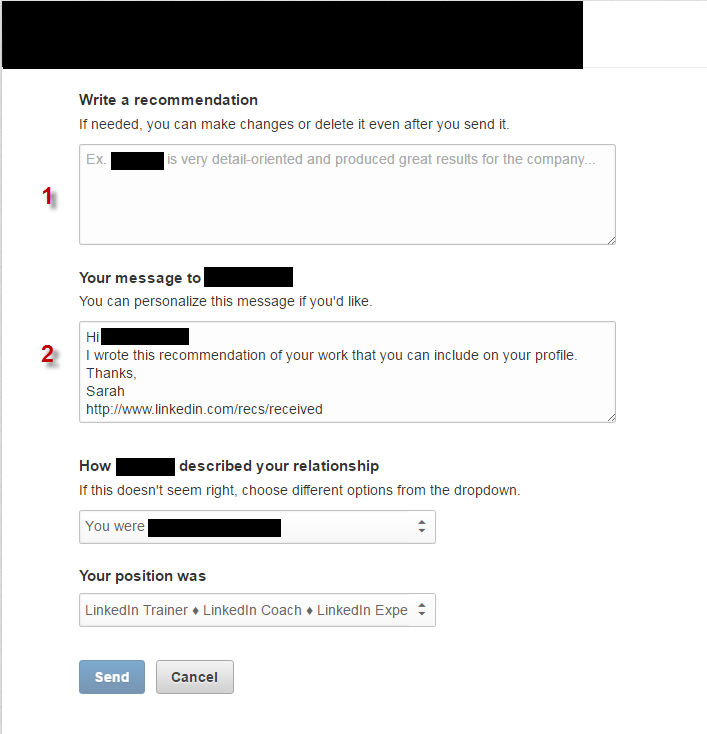 The request will come in via your LinkedIn inbox, and also via email (see screenshot). Your recommendation goes into the first field. In the second field you can write a message to the person you are recommending, to accompany the recommendation. 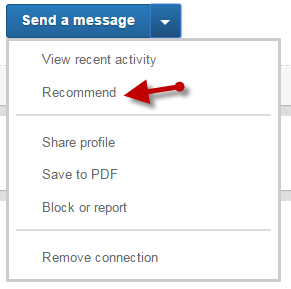 You can either go to the person’s profile and in the drop down menu next to his/her profile picture you choose ‘Recommend’ or you can proceed via the recommendation dashboard (which can be found at http://www.linkedin.com/recommendations) and from there choose the person you want to recommend. 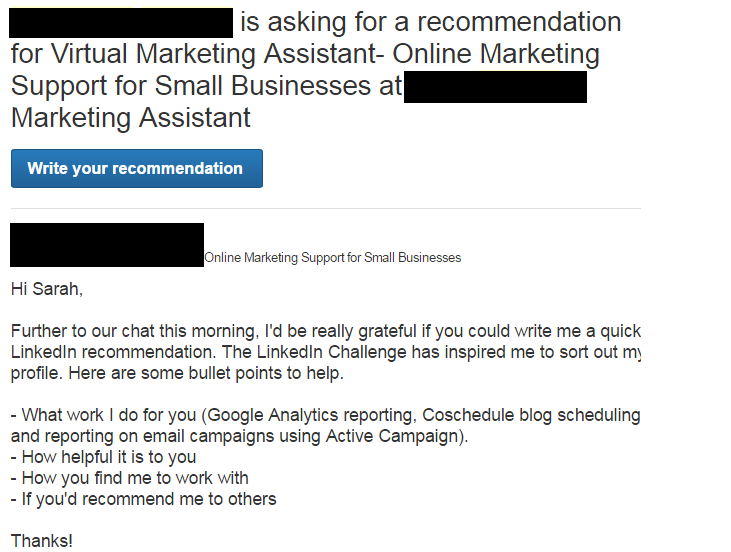 How do I give a top quality recommendation on LinkedIn? State if you would recommend this person to others. Believe me, you will be doing this contact a huge favor, giving them such a quality recommendation! ← How do I inform my LinkedIn network about a new workshop?